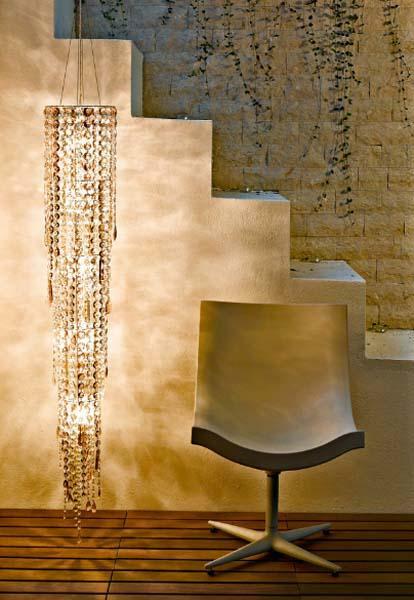 Crystal Chandeliers, ceiling light designs and wall lighting fixtures from Lolli e Memmoli are impressive, striking and elegant. Unique lighting fixtures are fantastic and innovative, and look like gorgeous works of art in modern interiors. The crystals are composed with each other for creating unique lighting fixtures with strong two dimensional frames that supports the weight. 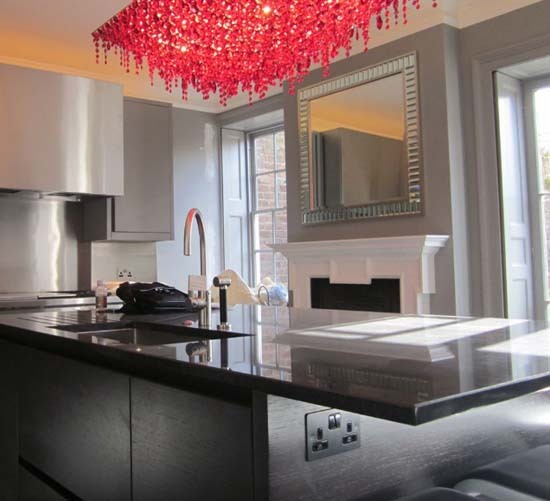 Contemporary crystal chandeliers, ceiling light designs and wall lighting fixtures look like dramatic jewellery items in different classic forms, – circular, elliptical and rectangular. 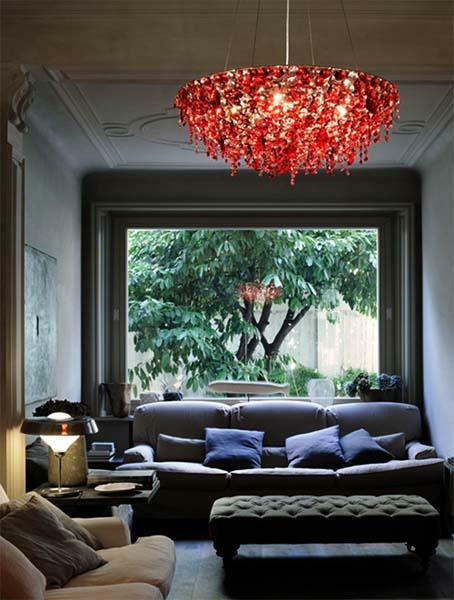 Large crystal chandeliers from Lolli e Memmoli are dazzling and dramatic. White, yellow, green, black and red crystals design unique lighting that let the gravity emphasize their beauty and charm, stretching crystal light designs and playing with their reflections. 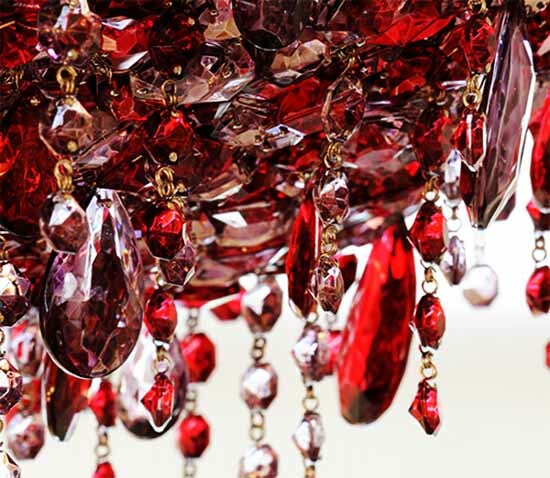 Amazing white, yellow, green, black and red crystal chandeliers by Lolli e Memmoli bring luxurious lighting designs into modern interior decorating. Crystals hang from circular, elliptical and rectangular frames and appear woven into transparent fabric. Light reflects, bouncing through this amazing structures, creating the atmosphere of modern art and splendor. Lolli e Memmoli is a famous lighting compamy that create striking, impressive and unique lighting fixtures for modern interior design. Their modern chandeliers, ceiling light designs and wall lighting fixtures made of white and colorful crystals are meticulously made by hand with close attention to every detail.